It might be the holidays, but Slick Text loves giving back all year round. Don’t believe us? Head over to our pricing page. The proof is right in front of your very own eyeballs. 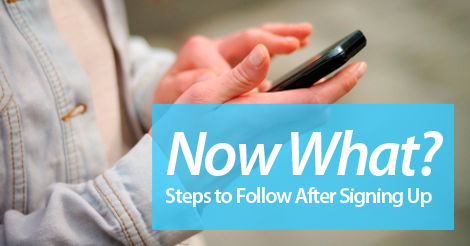 Want to get your feet wet with SMS, but aren’t quite ready to make a monetary commitment? Take our free plan for a spin. What’s the catch? Well, technically there is no catch, but we will say this. You can’t just sign up for the free plan, and expect to experience instant results. We want to make it very clear: you must first educate yourself on SMS marketing best practices, and how this mobile communication tactic can work for your business. After signing up for your free plan, follow this mini checklist below. 1. Take some time to read through our Beginner’s Guide to SMS Marketing. In our beginner’s guide, we review the basics of SMS marketing. This includes keyword selection, growing your list, sending your first campaign, and measuring your success. If you read this guide, front to back, you’re definitely on the road to becoming an SMS marketing pro. 2. Review potential opt in incentives with your team. Remember this: if you don’t offer value, your list simply won’t grow. You won’t tempt potential subscribers with a 10% off coupon code. You need to give them more. Sit down with your team, and figure out how to catch the attention of your customers. 3. Make a list of ideal promotional outlets. If you don’t promote it, your list simply won’t grow. Maybe you want to post opt in instructions on social media, or maybe you want to post easy to read in store flyers. Either way, decide on 2-3 promotional outlets. Grow your business by partnering with top SMS marketing provider, Slicktext.com. Give us a ring today at 1.800.688.6290, or head over to the pricing page and sign up for your free plan. Our feature rich platform makes it easy for even the newest SMS marketing users to experience success.